In Part 2 I promised you a whistle-stop tour of Luc Hoebeke‘s magisterial book “Making Work Systems Better”. I will use two iconic (for me) images from his book to showcase the impact he has made on the study of “human activity systems”. The second iconic symbol is the one where Hoebeke does magic with the “levels”. This picture has become the centre-piece for some of Jaques’ followers. Jaques may have invented “levels-of-work” but Hoebeke (and BIOSS) made it famous [to misquote an advert I heard many years ago]. 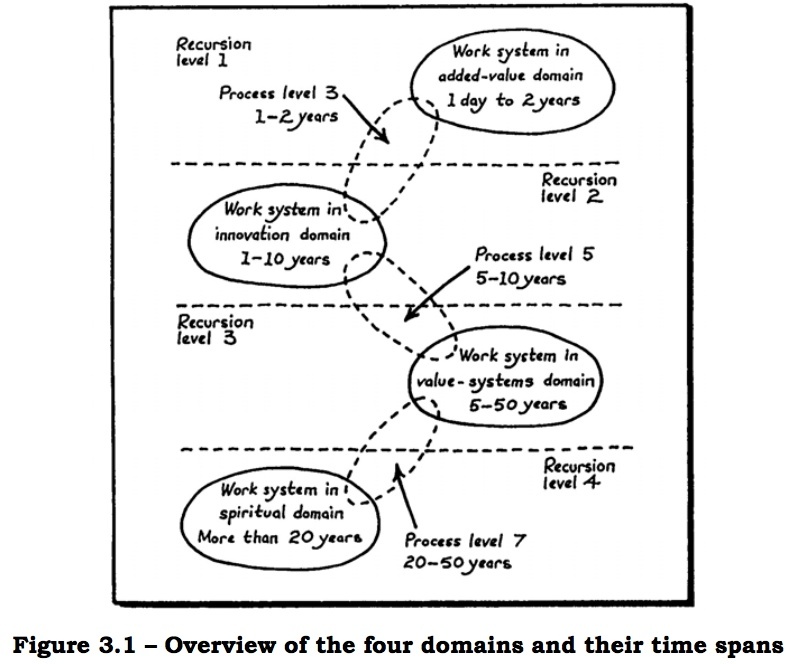 The seven process levels (which are the same as Jaques’ seven strata or levels-of-work) are grouped into four domains which overlap, so that process level 3 is shared between domain one and two, process level 5 is shared between domain two and three, etc. The differences are that these levels are not numbered, but named with theme labels and that Hoebeke’s “spiritual domain” is not explicitly referred to. For me, the power of these constructs is that it tells us of the nature of the “value-add” of higher levels [aka what inter alia should bosses/managers/leaders “do”]. A very fresh HBR blog indicates that what followers want from their leaders is (mainly) inspiration. We are told by the authors that there are many ways to inspire followers (from “driving” to “visionary” approaches). I do not find this particularly useful. Which immediately tugs me back to: But what does this inspiration actually look and feel like? What is its nature? Henry Mintzberg has compelling descriptions of what managers actually do [that is for my next post!] and how their unique styles are a mix of science, art and craft. I find great insight in the prescriptions of what managerial leadership ought to be in the writings of Gillian Stamp. 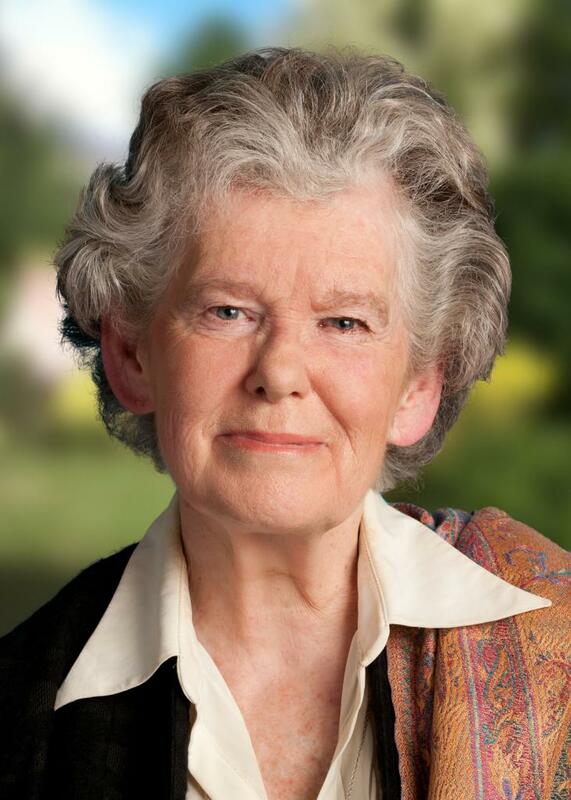 Stamp took over the leadership of BIOSS from Jaques in 1983 and has pioneered several important breakthroughs (like Career Path Appreciation, the Tripod of Work and the Matrix of Working Relationships) with her collaborators. Stamp and her colleague John Isaac – a lecturer in mathematics and physics at Brunel – worked on the Matrix of Working Relationships (which wove Isaac’s earlier thinking on complexity into Jaques’ level-of-work). It powerfully reminds us that work at “higher levels” adds value to lower levels by creating conditions for success for the latter. It is also completely different work to that done by lower levels. This is where BIOSS’s themes are insightful. 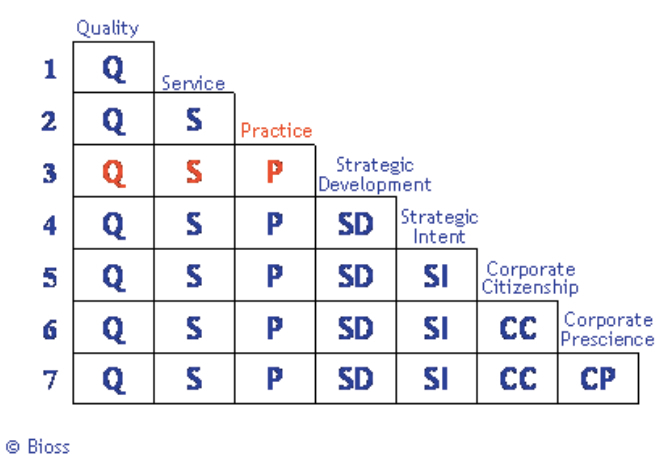 At each higher level a new theme emerges: From Quality to Service to Practice to Strategic Development and so on. The Matrix shows that although each new level reveals a new theme, the earlier themes are not abandoned, but subsumed. So Quality, although of paramount importance to level one work, is also present at all the higher levels but in a deeper way…however – and this is vital – completely new work emerges that needs to be done. This work is often invisible to the employees working at the layer below. So school teachers (level 2) will exhibit the theme of Service (with Quality being there too), but not be pre-occupied by, or even aware of, the need for Practice-themed work. The main focus at level 3 is maintaining systems and practices. Doing this well goes a long way to “creating conditions” for the educators to succeed in their work. Similarly the head teachers (level 3) need educational “functionaries” to be doing their level 4 work (Strategic Development) in order for the schools to have their “success conditions” in place. If this was properly understood we would not have the disaster (we have in South Africa) where textbooks fail to reach many schools on time, every year!